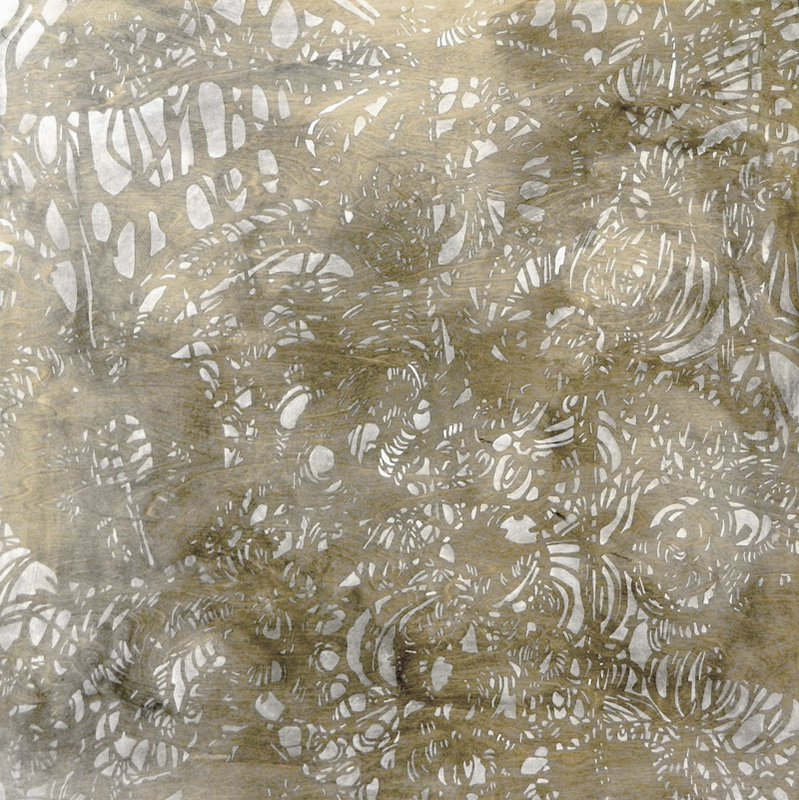 My current artwork explores the theme of palimpsest and how it can be used as a metaphor for mind and memory. Both our memories and artwork contain a complex layering of our past experiences that are mediated by mental processes. We all process and refine our moment-to-moment experiences into consolidated logical and sequential memories. In this way, we clear away extraneous information. In laying down long-term memory, we may also consolidate new events with older memories. We are constantly rewriting and reforming our interior worlds. Our memories are not a factual account of our experiences. Instead they become our “library” of ideas, knowledge, narratives and imagery that we access consciously and unconsciously. When applied to art making, our palimpsetic minds can result in a complex pattern of our lifelong artistic influences and personal image making tendencies. This assemblage of visual memories produces our unique visual languages. I am fascinated by the way certain visual elements constantly reoccur in my abstract work. Over years of making art I see that my lines, shapes, textures, forms and compositions are a window into my memory and mind. My visual language reflects my passion for the biological world with its struggle for resources and its drive to reproduce. My images are composites of the organic molecules, cells, tissues, plants, fungi and animals in constant flux as they thrive or subside. All organisms are bound by their shared genetic past and so participate in the evolutionary machinery that creates constant change as each generation supersedes the last. The resilient living world surges into its many possible futures, always leaving its tracery behind. 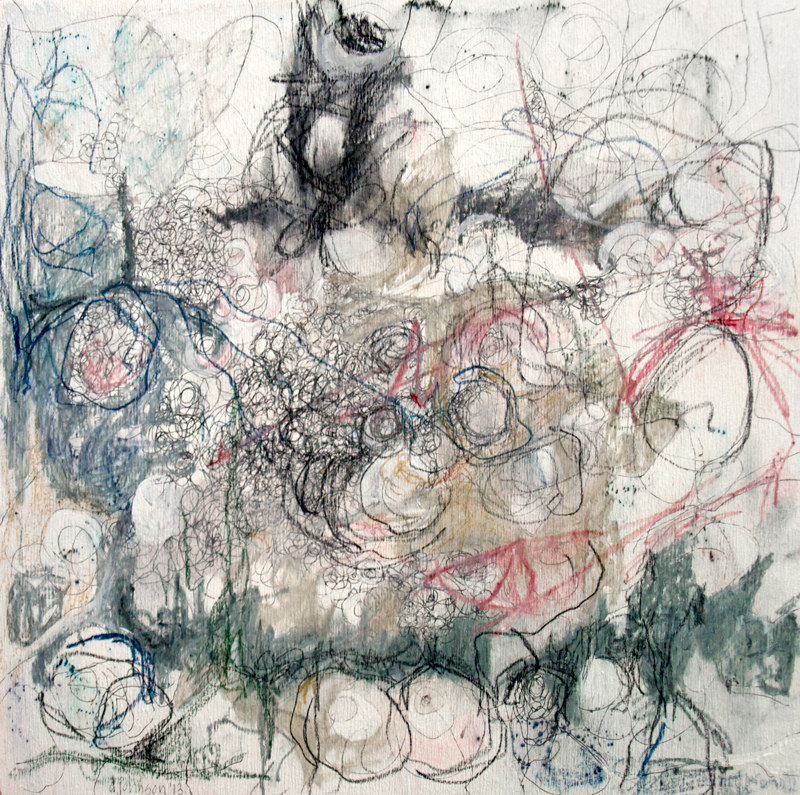 In this body of work I take my abstract drawings or photographs and transform them. I alter them both digitally and with traditional painterly materials. I am interested in the essential visual elements of each artwork and how these same elements show up in each individual piece and yet create new and quite different images as they “adapt” to different materials and processes.